The Magic Crafter brand started out as a YouTube channel and, while it has evolved over time, video work continues to be a major part of my brand and my business. 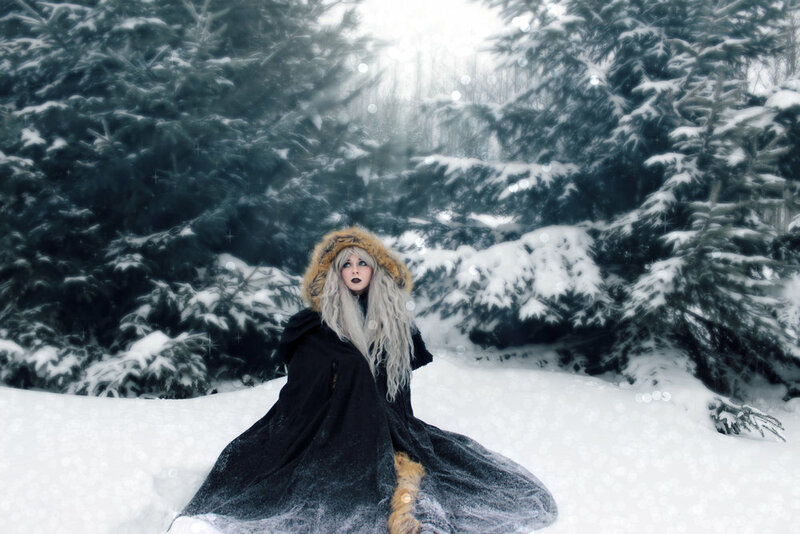 Typically, I create videos that are meant to transport viewers into a fairytale realm with vivid footage of mythical creatures set in the beautiful world of Northern Michigan. Other videos help my viewers to build a magical world of their own, with mermaiding tutorials, fairy DIY's, ect. Below is a sample of my work as a FairyTale Actress and Film Creator. I have been actively working as a Professional Mermaid since 2016. Since then, I have worked on many projects with various clients around Michigan AND around the world. I started my work as a Professional Fairy Entertainer in 2018 and have already worked as a fairy at a few events since my debut. You can find out more about my past projects by reading below. Overview: Each day of the event, I sat in the "Dragons, Unicorns & Mermaids" exhibit area to greet visitors, answer their questions about mermaids, take photos with them, and let them touch my tail. After guests got the chance to meet with me, they were directed to my assistant, who handed out photos of me in the water. I was at the exhibit from 11:00 a.m.- 1:00 p.m. (EST) each day. It was very successful and brought in hundreds of guests from around Michigan and even from other states. Overview: I was approached by the "Mermaid Alliance," to make a piece of mermaid-related/ ocean related artwork to go on display at Singapore's Dive Expo. For this, I created a purple "Water-Dragon" egg out of polymer clay. I then created a "nest" for my egg that was primarily composed of natural materials found on the beaches of Lake Michigan. My work, along with the work of other mermaids, was displayed at ADEX Singapore to be viewed by the 60,000+ international visitors that attended the event. Overview: The "Flower Fairies & Friendly Dragons" festival is an annual celebration of fairy tale creatures hosted by Suttons Bay's children's & science store, BrainStorm. This celebration takes place on the sidewalk outside of the storefront, where guests can take part in all sorts of free creative projects, such as making a fairy wand or a dragon den. I was at the event from 11:00 a.m.-3:00 p.m. as a fairy to take photos with visitors, speak with them about fairies, blow bubbles to attract visitors, and to pass out vials of fairy dust. 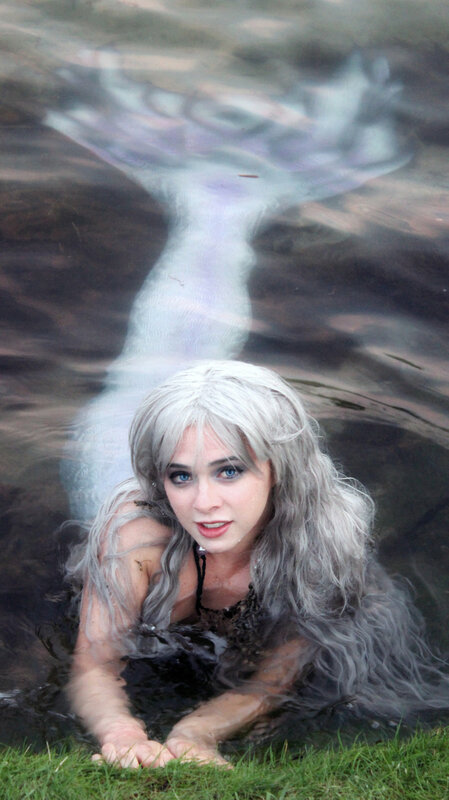 Overview: Over Memorial Day Weekend, I took part in the World-Record Setting "Mermaid Gathering" at Mermaid MegaFest 2018. At the event, I was interviewed by one of the world's most well-known mermaid instructors, Marielle of https://www.AquaMermaid.com Additionally, I had the opportunity to capture footage of many other incredible mermaids, including the world-famous Hannah Fraser. Other connections were made at the event, but I can't disclose the details quite yet! Hehehe! 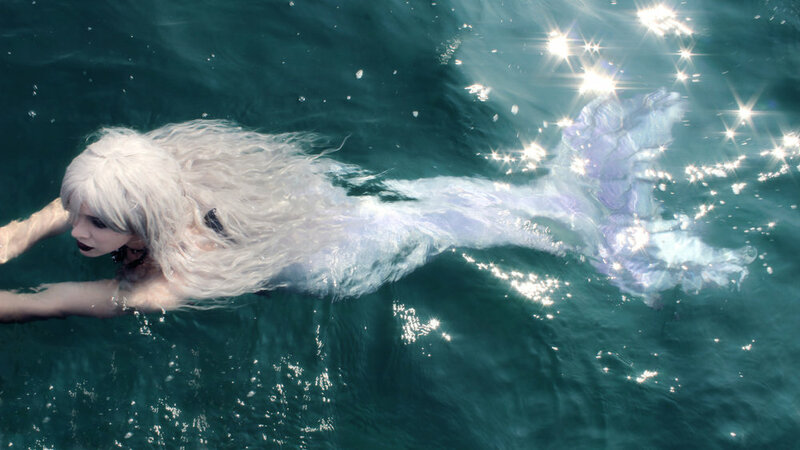 Interview with Mermaid Marielle on her Channel, "AquaMermaid"
OVERVIEW: Mermaid Phantom was “rescued” after running into a boat. While recovering from her concussion, she was placed in the tank of the HollyGrove Cove Merfolk during the Michigan Renaissance Festival, in Holly, Michigan. She was there to entertain guests on Saturday and Sunday of the event. PLEASE NOTE: This section of the website is constantly "under construction," as I continue to add the new and exciting projects that have been completed. There are collaborations, YouTube channel features, new events, interviews and more amazing things coming up that I can't disclose details on yet. Stay tuned!